This past Saturday, I attended both a bat- and bar-mitzvah in Washington, D.C., the only reason for my trip to the district. But while in our nation’s capital, I decided to take advantage of a few unscheduled hours in which to conduct historical research at the USHMM – The United States Holocaust Memorial Museum. Friday afternoon I devoted 3 hours to my research.But, on Saturday, sitting in the synagogue’s sanctuary, the significance of the two events – my Holocaust research and the bat mitzvah’s unique celebratory character thoroughly overwhelmed me. The young lady having her bat mitzvah is our close friends’ daughter — I’ll refer to her as Julia Jia Li Davis. The young man becoming a “bar mitzvah,” Jordan David Martínez-Goldberg, shared the Dias and planning of the service with Julia.She is Chinese. He is bi-racial Jewish-Dominican, and according to one aunt, also has some Peruvian origins. The service was simultaneously amazing, encouraging, and beautiful. But beyond its diversity — and vastly more important, was the sense of community and hope it evoked that so thoroughly overwhelmed us all. I scanned the sanctuary. It was impossible not to notice that almost everyone there was teary-eyed and intensely moved. It wasn’t simply the ethnic, racial, national, and cultural diversity that gave us pause but rather the tremendous significance of the scene and of our good fortune to be a part of it. The point was lost on no one! It was also the epitome of our American ethos. It’s one of the greatest and most enduring of America’s values. 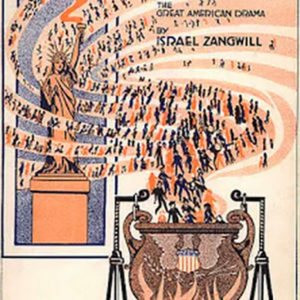 More than a century ago, the United States of America was referred to as the “great melting-pot,” a term derived from a play by Israel Zangwill. First performed in 1908, the story depicts difficulties encountered by a Russian-Jewish immigrant family named the Quixanos. The protagonist and hero, David Quixano, survived a pogrom that killed both his mother and sister — an over-whelming horror he constantly struggles to put behind him.David creates an “American Symphony” — his goal is to envision a society free from ethnic divisions and hatred rather than to remember his tragic past.David proclaims, “America is God’s crucible, the great melting-pot where all the races of Europe are melting and reforming… Germans and Frenchmen, Irishmen and Englishmen, Jews and Russians.” He is overcome with emotion by his vision and shouts, “Into the Crucible with you all! 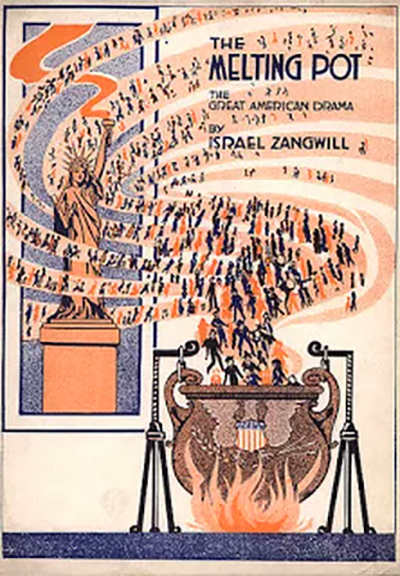 God is making the American!”Given the play’s historical context, Zangwill’s main character’s proclamation is truer and more evident in contemporary America than it was when he wrote it in 1908. Today, America is in a constant state of social and demographic flux, adapting and embracing its diversity followed by yet more growth, change and diversity.The continuous changing “face” of America benefits us all, helping us evolve into a vastly more compassionate and humane society. This special bat mitzvah followed my afternoon at the United States Holocaust Memorial Museum’s 5th floor where I scanned miles of footage in the Steven Spielberg Film Archives — footage that documented Nazi era atrocities.Regardless of what we think we know about events that occurred during those very dark Holocaust years, seeing raw film footage taken from news reels of the time is a brutally sobering experience. I’m still trying to comprehend the amazing contrast between what I saw documenting the inhumane violence inflicted upon millions of human beings simply because of their cultural, religious, and racial differences and the wonderful encouraging sense of community that permeated the entire bat mitzvah weekend I was so fortunate to be a part of!